There are many factors which are fueling this trend. First and foremost, law is a much more competitive business than it once was. Firms looking to establish offices in new markets will often look to existing local talent to staff a new branch office. In addition, pressure on bill rates have made it difficult for certain practice areas to be profitable in a large firm. This has made smaller firms more attractive to lawyers with certain practice expertise. At the same time, law firms of all sizes have gotten more aggressive about trying to build their rosters of talent and clients. If you are a partner at a major law firm, the chances are you are being approached by recruiters or by colleagues from other firms. How should you evaluate these inquiries? What are good reasons to consider a move and what are some of the practical considerations? In this episode, I speak with Dan Binstock, a partner at the DC search firm, Garrison & Sisson. He has an extensive track record of placing partners/practice groups and associates. He has brokered some of the most significant lateral partner placements in the Washington, DC market. Currently, he serves at the President of the National Association of Legal Search Consultants. 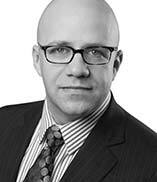 Dan was named by LawDragon as one of the Top 100 Legal Consultants and Strategists in 2017. Prior to becoming a legal recruiter in 2004, Dan practiced intellectual property law with Finnegan Henderson, a national intellectual property boutique based in Washington, DC.